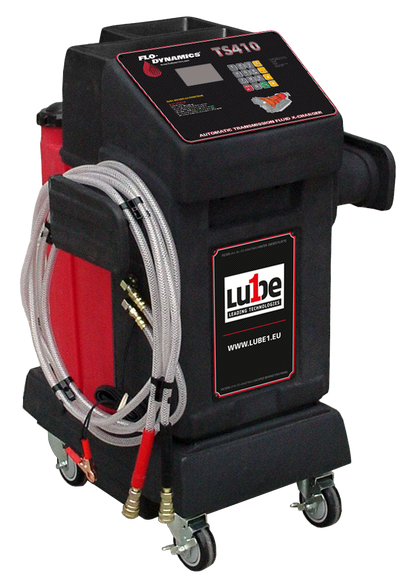 The TSD450E is a fully automatic automatic transmission service station that changes the total oil content in open and closed systems in less than 5 minutes. Its patented sensor technology is approved by OEM manufacturers. It monitors and ensures a permanent oil exchange. The integrated cleaning program guarantees an optimal and safe rinsing out of all oil-soluble impurities and deposits from the automatic transmission.